A community garden can be a great way to bring neighbors, family members and friends together to expand gardening efforts and increase harvests while simultaneously sharing the workload and expense necessary to keep a garden thriving and productive. Instead of simply grouping individual plots together that each participant must work in isolation, however, the most successful community gardens foster work-sharing, partnership efforts to help all community members enjoy an amazing garden. 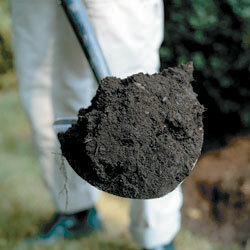 Furthermore, a community garden is ideal for schools, hospitals, senior centers and other community facilities. 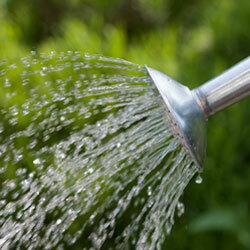 To make the most of all the effort for such a garden, however, communal supplies are essential. No matter what type of garden your community creates, which crops may be planted or which people make up the gardening group, everyone will need to use some of the same tools to nurture their individual plots. Just as the point of a community garden is to share some of the garden work as well as an appropriate piece of land, it is sensible to share some basic garden tools. For instance, if there are 20 people contributing to the garden, there is no need to have 20 spades, rakes or buckets when those simple supplies can easily be shared. This will allow members of the gardening group to invest in higher quality tools or more specialized items to use in the garden, rather than everyone buying their own individual tools. An exception to shared supplies is for items that may be personalized to the user. Hand tools, for example, are often very personal for each gardener. The weight of the tool, ergonomic grips or left-handed designs are all factors for choosing a hand tool, and anyone who participates in a community garden may want to keep their own set of hand tools available, while still sharing in the larger, more basic tools the garden has on hand. In addition to these basic tools, the common area of a community garden should have a compost area or compost bins for everyone to contribute to, and therefore everyone can use the rich compost that is produced to nurture the entire garden. 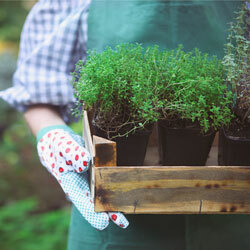 A bulletin board can be helpful for leaving community notices, reminders or announcements, and a bench or picnic table makes an ideal space for prepping seedlings or cleaning tools. Community gardeners can also work out opportunities to share seedlings, thereby trying more and different plants that can be used throughout the garden even if one individual gardener might only want to try one or two new plants. One communal tool that ought to be employed in a community garden is a bee house. Positioning one or more bee houses around the garden will encourage these pollinators to visit the garden, which will benefit everyone who participates in the community effort. All community tools should be clearly labeled with the garden’s name, so they can be easily identified and returned if anyone mistakenly takes them home in their gardening enthusiasm. A shed is a great place to store communal supplies for a community garden, but if a shed isn’t available, a small covered patio with lockers or storage benches can serve just as neatly. Another option is a small fenced in area where tools can be stored for everyone to use. The shed or storage area can easily be locked, and keys could be checked out from a supervisor or a key could be given to each of the garden’s participants. If space is available, individual lockers could be made available for garden participants to conveniently store their own individual tools as well. To keep the garden a true community effort, a suggestion box ought to be available for members to suggest new crops or plants, request new tools or otherwise have a stake in how the garden operates. Fun and creative options for a suggestion box include a mailbox, bird house or similar structure that complements the garden in a fun and useful way. 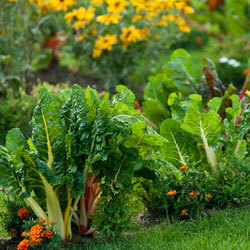 Regular community meetings are also very beneficial and may be planned around a dinner using food from the garden. 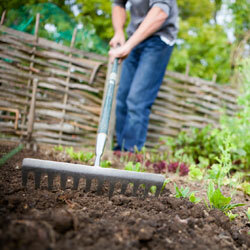 As a community garden grows, so too will the different tools it has available for everyone to use. By offering communal tools and supplies for the garden’s overall use, it encourages even more people to join in the effort and truly helps a community – and its garden – grow.